FONTANA, Calif. (March 19, 2018) – Kasey Kahne and Leavine Family Racing (LFR) finished 24th at Auto Club Speedway after a frustrating beginning to the weekend in Fontana. The team did not get much out of the first practice session on Friday, due to mechanical issues. Later that day, 13 cars did not pass qualifying inspection in time. The No. 95 Camaro ZL1 passed, but due to other cars failing and re-entering the inspection line, the clock expired, and the team was not able to make a lap, relegating Kahne to a 34th place starting spot for Sunday’s Auto Club 400 per NASCAR’s rulebook. Saturday brought optimism to the team, as Kahne was 14th fastest during the second practice session. 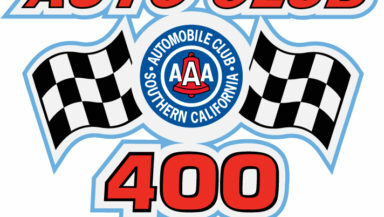 At the start of the Auto Club 400, Kahne was one of the biggest movers, settling quickly into the Top-25. Within the first 10 laps, Kahne told the team the car was free-handling. It was not until lap 27 that Kahne made his first green flag stop for an adjustment. The stop came with a slight miscommunication on the adjustment, but fortunately did not affect Kahne’s driving very much. When the first caution came out on lap 38, Crew Chief, Travis Mack, decided to roll the dice and take the wave around, putting them back on the lead lap. Kahne reported he was able to handle the No. 95 WRL Camaro ZL1 much better. As the field went back to green, Kahne raced until the end of the stage, finishing 23rd. He pitted once again for tires, fuel and a wedge adjustment under caution. Kahne started the second stage in 24th, making his second green flag stop on lap 89 for another wedge adjustment. The first caution of the second stage happened on lap 108. Mack made the call to take the wave around for the second time. With seven laps remaining in the stage, Kahne restarted 22nd, where he would go on to finish the second stage. Kahne began the final stage in 21st and reported he was much better overall when a caution came out on lap 128. Mack made the call to stay out, and Kahne led the field to green on lap 131 before falling back on old tires. The team made their final green flag pit stop on lap 157 for tires and fuel. The field remained green until the end, with Kahne crossing the line in 24th. Next up for Kahne and LFR is Martinsville Speedway, where they look to focus their efforts on the first short track race of the 2018 season. Leavine Family Racing is an organization competing in the NASCAR Premier Series focused on growing competitively and providing results-driven partnerships for its sponsors. The single-car team was founded in 2011 by Bob and Sharon Leavine, two individuals who are passionate about NASCAR and started the team to make a positive impact on the sport and community. Kasey Kahne, a fourteen-year veteran of NASCAR and 18-time winner in the Monster Energy NASCAR Cup Series, pilots the No. 95 Camaro ZL1 for the team. In alliance with Richard Childress Racing, the team operates out of their Concord, N.C.-based race shop with a veteran group of racing personnel driven by their desire for progress. For more information, please visit www.LFR95.com. As fans our natural inclination is to support the driver, chassis, team, team owner, anyone or anything we support to the exclusion of everything else. It”s missing the forest for the trees. The sum total of Todd Owens building efforts combined with LFR, Troyer, Rob Fuller, SPAFCO, Mike Paquett if he”s still building cars and a few others that build their own chassis is a sum of the parts being greater then the whole kind of deal. Not a zero sum game. I read a comment that LFR”s efforts have caused Troyer to step up their game in terms of customer outreach. Chassis building is changing but very much alive and well it would appear.